Please check the next post for the winner! My dad’s business works with some eyeglass frame companies, and even when going to Gap to get a sweatshirt for my birthday felt extravagant, he got amazing deals on designer sunglasses. So I was this schlubby kid in dorky bell bottoms, a too-small Gap sweatshirt, and my very stylish shades. I hope to god I wasn’t wearing those rubber sandals with the velcro straps at the time, but I know in my heart that I was. They were perfect for wading in streams, and I waded in streams well into my teens. When I started hating my nose, and my face, by extension, I felt that picking sunglasses was an excruciatingly important undertaking. I couldn’t wear just anything, like a normal person. I had to wear something that didn’t emphasize my unforgivable nose. I went through phases. Sometimes I hid behind my sunglasses. Sometimes I whipped them off when I saw someone I knew, in case they might be making me look worse. When I got a nose job, I wanted to put nice sunglasses on immediately, right after the cast came off, to see the difference. It seemed like the ultimate test. How would my face carry glasses now? Would I look like everyone else in them? Like those graceful-nosed girls who never even had to think about it? Who must feel good about themselves automatically. It’s kinda random, the ordinary little things that bring out your biggest insecurities. That make you feel the most awesome. The coolest. The most obviously weird. I have a history with glasses. We’ve been through a lot together, and I don’t even need them to read. Right after the plastic surgeon took the cast off and ruefully shook his head and said, “Okay, well, we’ll have to see what it does next…I’ll keep an eye on it,” I got into the car and pulled down the mirror and put on my cool super dark shades with the thick black frames and grinned at myself. I hadn’t heard him. I was too excited. I’m a whole new me. I definitely wasn’t. It was going to be a longer road than that. There aren’t really too many shortcuts to accepting yourself, I’ve found. I still have a big nose. The nose job didn’t work. But these days, I wear sunglasses when it’s bright and I don’t even think about it. They’re still nice, though, because of that deal my dad gets. I’ve saved a pair from years ago. And if I do take a moment to check myself out in them, I can say that instead of making me look more typical, instead of shifting attention off my bold nose, maybe they emphasize its distinctiveness. I think I’ll say that. Just for fun. So anyway, if you want to enter this giveaway, just let me know in the comments! Unroast: Today I love the way I look in candlelight. Everyone, you should look at yourself in candlelight ASAP. Note: Unfortunately, glasses.com can’t ship outside the U.S. so this is for U.S. readers only. Sorry, everyone else!! I know everything will be totally international someday soon and I know I owe you some giveaways. Would love to be entered into the giveaway! First time commenter, long time lurker. Can I enter, even if I am Canadian, because they could be shipped to my in-laws who live in the U.S.? I like your unroast. When I was in high school we went on a senior retreat, and one of the program directors past around votives and had us light them, then turned off the lights. She told us to look around at each other and admire how beautiful we each were in candlelight, our blemishes veiled by flattering soft shadows. I mostly loved how spiritual and slightly spooky the whole thing felt. Also, I used to burn through several candles a week, because I loved having one lit while I was reading. I need more candles in my life these days. Oh lord, did I write “past”? Passed. Could it really smell so good that it’s worth $60, and $28 for a votive? A bouquet of roses and blackcurrent leaves. Perhaps. I’d love to enter the giveaway. And, OMG, Kate, have you read “Girl With Glasses: My Optic History” by Marissa Walsh? If not, you must. It’s a small book, written in tidbits that could easily be read between baby duties. P.S. I understand about hiding behind sunglasses. I started wearing glasses in fourth grade and was sure that my blue cat-eye glasses made me look less plain. I grew up with a sister who was a beauty queen and there I was, a skinny, pale stick of a thing. But glasses made me brave. For years I hid my face behind large frames. When I finally switched to contacts in high school, I felt vulnerable and exposed. My glasses just broke, I don’t have vision care, and I hate my $30 new Coastal ones. Good timing! Baby has thrown my glasses to the floor so many times the screws are stripped — didnt know that could happen… NEED a new pair and the selection at glasses.com looks awesome. i would love to enter! I would love to be entered, too! I really really need a new pair of sunglasses. I got mine from a thrift store for $5 and they’re all scratched up and I WORK IN THE MOJAVE FOR A LIVING. Ahhhhh I hope I win! I would love to be entered. I need a new frame for my first pair of bi-focals! Love the in roasts… Look forward to them at the end of each post! As someone who owns over 50 pairs of glasses, I don’t need the giveaway, but will “give a way” my secret of how NOT to go bankrupt when buying glasses. I buy my frames through eBay, and Etsy, and then go to a discount store like Wal-Mart, or BJ’s warehouse to have the lenses put in. My “collection” consists of everything from vintage to contemporary, and bifocals lenses run around $50-70 depending on the store. I have also bought “readers” and had lenses put in them as well. I would like to enter the giveaway! Thank you again for another vulnerable post. The part about feeling like you have to worry a lot about things other people seem to just take for granted really resonated with me. Definitely enter me! I just started grad school and glasses are expensive! I love sunglasses! I always put too much stock into picking out sunglasses too. I wanted a big pair like has gotten so popular now, but I didn’t want to look stupid. Eventually I found a pair right in between, I guess! 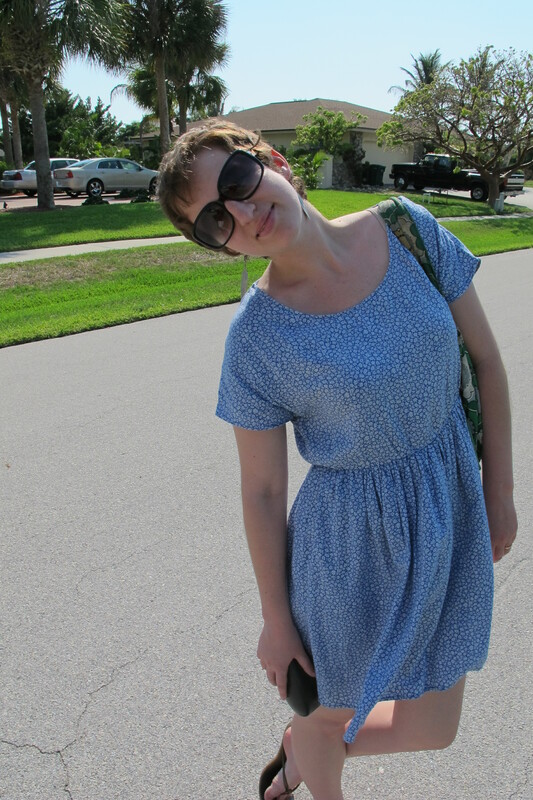 I still wonder sometimes….so I haven’t really worn them outside of the car much! I would like to enter . And I hope you & Eden & Bear are doing wonderful <3. I would also love to enter the giveaway – thank you so much for hosting! And, as another commenter so beautifully put it, thank you for your vulnerability in your posts. Your willingness to put your truth out into the world impacts people more than you know, I suspect. It’s such a gift. My sunglasses just broke. And since it’s fall in MN, cheap ones are hard to find. AND my 3rd baby is due at any moment, so it’s not a priority for me to look for new ones. I love your nose and think your shades look great sitting on it! Thank you for hosting this awesome giveaway. Great giveaway! I’d love to enter! I’d love to enter! I don’t think I’ve gotten new glasses since 2007…hmmm. I got a pair of wooden frame hipster glasses last year because I thought I could pull them off. Now the ear pieces have stretched out and they fall off my face and I wear my contacts always. Blind as a bat here. Always need a new pair! I would love some new, cool glasses. Mostly because I just look so much smarter with glasses on. With eyesight like mine, I have a history with glasses too — and as a middleschooler, I remember thinking of myself as insufferably unattractive because of my dorky, albeit functional, frames. It wasn’t until I started wearing contacts in high school that I thought of myself as pretty, but now that I’m older and wear my glasses again on occasion, I’m revisiting the idea that I just might look okay either way. Anyway, I’d love a new pair of frames! I was just thinking I’d like a new pair of frames I’d love to enter! Oh, yay! I LOVE sunglasses! Thanks so much for the shot. I too love the way I look in candle light. So much so that I often look for candles on sale. The only nice pair of sunglasses I had, once, I had for two days and alas got run over two days later, so yes, yes I would love to enter your contest! Love your blog. Thanks for offering this giveaway; would love to enter. I want to enter the giveaway !! I love this post!!! I would like to enter the giveaway. I am in real need of a new pair of sunnies. Thanks for this giveaway! I’ve always loved sunglasses, but I’ve worn glasses since I was 9 and wasn’t willing to give up my ability to see in order to look cool (contacts irritate my eyes, and clip-on tinted lenses just aren’t the same). So when I shelled out for lasik last year I was super excited to finally be able to buy a ton of funky shades and wear them with everything… and then promptly went out and bought one pair at Value Village for $3.50 and never got around to buying more. I would love some new glasses! Would love a new pair. Clumsy me fell down twice this year and broke my glasses both times. Glad I had a backup pair but they’re now my only pair. Thanks for all you write to help us feel beautiful in our skin. Oh man do I need a new pair of glasses! Thanks for the giveaway! Yay glasses! I need them because I won’t spend enough money to buy something I will like to wear on my face every single day! would love to enter to win this! I’d like to enter the giveaway. Thanks for hosting! I used to want to wear glasses so badly. I thought they would make my very round face much more interesting. I even thought about fake glasses, but if I win the giveaway, I’ll just get sunglasses. I think I’m finally over it. Thanks for the giveaway! I love the way one accessory can transform the face. I would like very much to enter the giveaway! Oh I would LOVE to be entered in the giveaway! I too have a long and complicated relationship with glasses. I completely understand the obsessive analyzing of ‘how do these glasses make my nose look’ …of both hiding behind them for comfort, and wishing not to be seen wearing them. Sigh. A good pair of glasses is SO hard for me to find. Anyway, thanks for being so awesome and for hosting this giveaway! 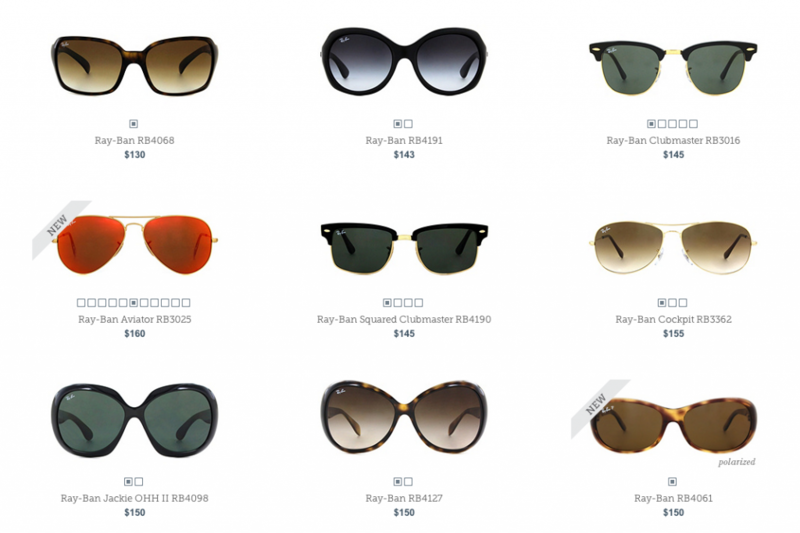 I love my glasses…but I’ve always wanted a nice pair of sunglasses. Well, considering my glasses broke last week and I’m currently holding them together with zebra-striped duct tape (in my defense, it’s the only duct tape I have)…I would love to enter! Please enter me in the giveaway too! I would like to be entered in the giveaway, please. My first pair were heavy black plastic octagons which I loved for about a week. I was fifth grade then. It wasn’t my eyes got worse that I wore glasses faithfully. Yay! I’d love some new glasses! Yes! New glasses are as fun as new shoes. Omg, the timing of this giveaway couldn’t be anymore perfect, since I’ve been thinking about buying new glasses, so please enter me! I can relate to the need to find the right pair of glasses to hide your nose. I too have a big nose (which others have even commented on in fact), and I used to be so self-conscious about it. And I felt like sunglasses by their very nature put a spotlight on the nose, to make it even worse! Now, I’ve gotten to the point where I can wear sunglasses that don’t make my nose or face look fabulous, but looking fabulous is as important to me anymore (kinda like how you wrote in your last blog post). As long as I can go outside without squinting my eyes against everything, then I’m good. P.S. This is my first time commenting on your blog, but I’ve been following you for over a year! The first thing I remember about your blog was the fact that you had short hair! That you were brave enough to have cut your hair! Your blog, in addition to changes in my life that made me more confident in myself, allowed me to finally cut my hair short despite my fear that my nose was too big! That was this past February. Two weeks ago I decided to cut my hair even shorter. It is now about 1.5 inches long, and I feel even more beautiful. And when some people tell me it’s too short, I just say: well, I like it, so there! I want to enter! I could use a new pair of glasses! I’d love to enter the giveaway…so here’s a bad joke! What do you call a line of rabbits jumping backwards? A receding hairline. Great giveaway! Enter me, please! I’d like to enter. Thanks! Yes! Please enter me. I’d love a fabulous new pair of glasses. Glasses are the best things ever. Enter me, I love glasses. I’s love to be included in your giveaway, mostly as I just discovered glasses.com and I am actively seeking new eyewear. Thanks! I would like to be entered please Although by doing so be aware that you are now an enabler to by glasses/sunglasses addiction. Enter me, please! I used to wear glasses, then had laser eye surgery. Now, at 41, I need glasses again for distance. I’m looking forward to a new accessory that that will contribute to my distinctive style! I would like to win it for my mom. Thanks for the chance. Would you sign me up, please? You look adorable. I really enjoy your blog. Thanks for awesome giveaways. I def need t replace my glasses. I really want to win this one! You write beautifully. I’m glad I found your blog several months ago. I’m laughing at myself that it’s taken a drawing to prompt my first comment, but I’m a contented lurker! Woohoo glasses! Would love to enter, thank you Kate! Thanks for the giveaway, I’d love to be entered. I really like the Maui Jim Kanani sunglasses. I’d love to be entered in this giveaway! I gravitate towards outrageous and/or unique sunglasses. Winning this contest would be so much fun for me. So, please count me in! I could use some new glasses! I’m fairly new to your blog so I haven’t heard about your nose job before. When I was a teen my mother offered to pay for a nose job because ‘finding a husband is important and your nose might put men off’. Prior to that moment I had never thought there was a problem with my nose. I felt winded like I’d been kicked in the guts. And then I felt really really angry at the suggestion that I needed to change myself to be loveable. To anyone. I’m now in my mid-thirties, and married to a delightful man who loves me deeply for my nose and all the other bits of me that some people might think need to be fixed. And I’m learning, bit by bit, that my quality of life is influenced a great deal more by how I see myself, than how others see me. Oh man, I’d totally like to enter. Glasses are a pain for me because I always have to order ultra-thin lenses (read: blind), which tends to add ~$300 to the whole deal. And this is why I have yet to get good, rx sunglasses to wear when I’m not wearing contacts… which is often. I repeat: oy! I’d like to enter!! My current pair is always slippin’ off my nose onto the floor. must enter as well. 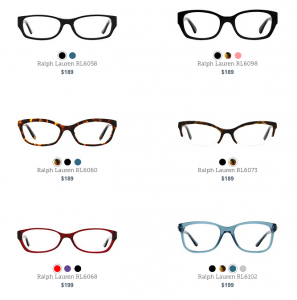 new glasses are a precious commodity – those things cost serious bucks. I’d love to be entered into the glasses drawing, as well. Count me in for the giveaway! I love sunglasses and the way they make me feel glamorous. I’d also like to be in the giveaway! I need some shades! I’d love a pair of new glasses! I’d love some new glasses! Great timing! My frames are chipped! Thanks! Oh exciting! Would love to enter! I so love your “unroasts.” Love it all! 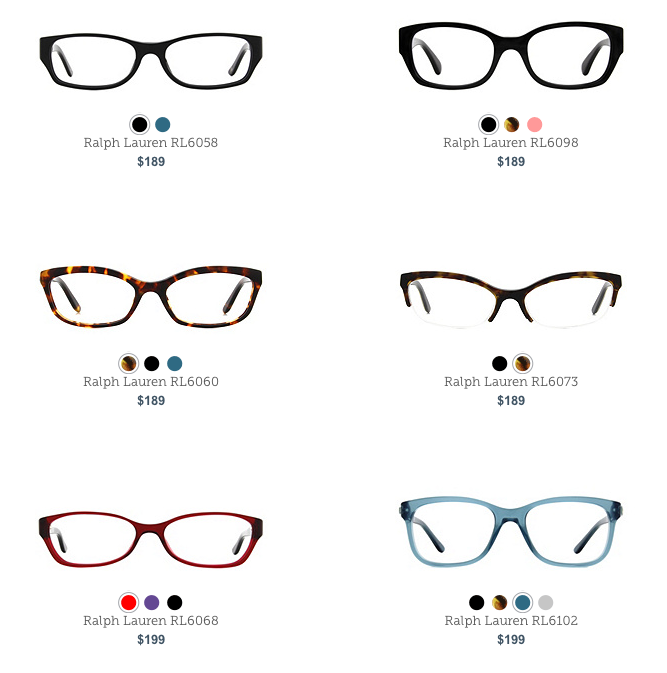 Poor college girl here, longing to look sufficiently collegiate with some new frames! Unroast: Today I love the way I look in a short skirt and oversized sweater.